Froozberry Smoothies were a revolutionary new product in the fast food industry. Without giving away any trade secrets, let’s just say that smoothies will never be made the same way again. BrainShine created the naming for the manufacturer (Froozberry Foods) and the product (Froozberry) and developed the logos for each. 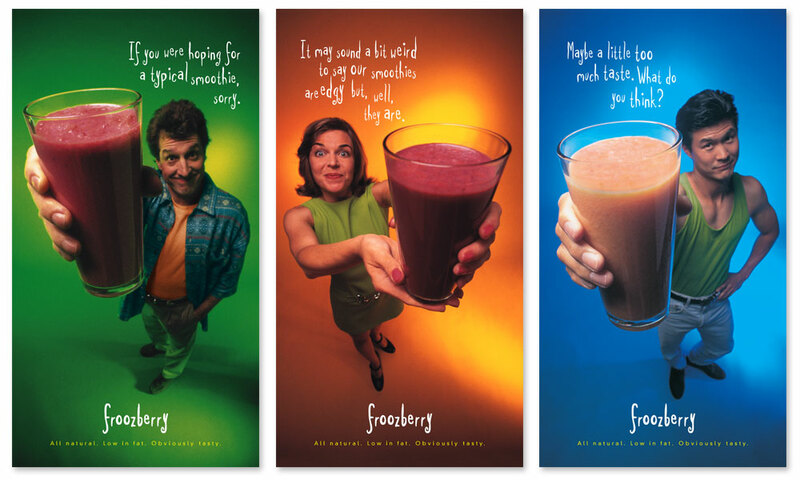 The POP posters seen here were used in-store to promote these delicious drinks to the buying public. We also designed other support materials and packaging and guided the initial marketing strategy. The result, franchises across America were quickly jumping on the Froozberry bandwagon.